← Couldn’t make it to our recent tastings? Here’s what you missed! Our Top Picks: Wines to Pour on Easter! Need to pick up a few bottles of wine to pour on Easter? Look no further – here’s a list of our top picks, for pairing with ham, lamb, and everything in-between! First up: Some of our favorite Rosés and Pinot Noirs to pair with ham. These wines will also complement salmon nicely, for those of you looking for a fish option. The newest vintage of our best-selling rosé. Strikingly pink in color; fresh and tangy, with light strawberry jam and lemon flavors. Full, fruity, and crisp with a dry, clean finish. Always delicious. Strawberry, raspberry, and cherry aromas. Bright red fruit flavors of cherry, strawberry, and hints of plum and toasty oak. Smooth and lingering in the finish. Firm tannins are nicely balanced with acidity. Endowed with beautiful, deep garnet color; has a fruity nose with aromas of cherry, blackcurrant and fig. Full and round on the palate, ripe and rich, but not heavy. Powerful and well-structured yet subtle and elegant, with a silky, velvety finish. Now, for classic lamb pairings: Merlot & Merlot Blends, Carmenere, and Right Bank Bordeaux. A lush, forward-style red wine; the blend changes each vintage. The 2010 is an old vine blend of 80% Merlot from Bradford Mountain in Dry Creek, 20% Petit Sirah, and 20% Zinfandel from Mendocino. 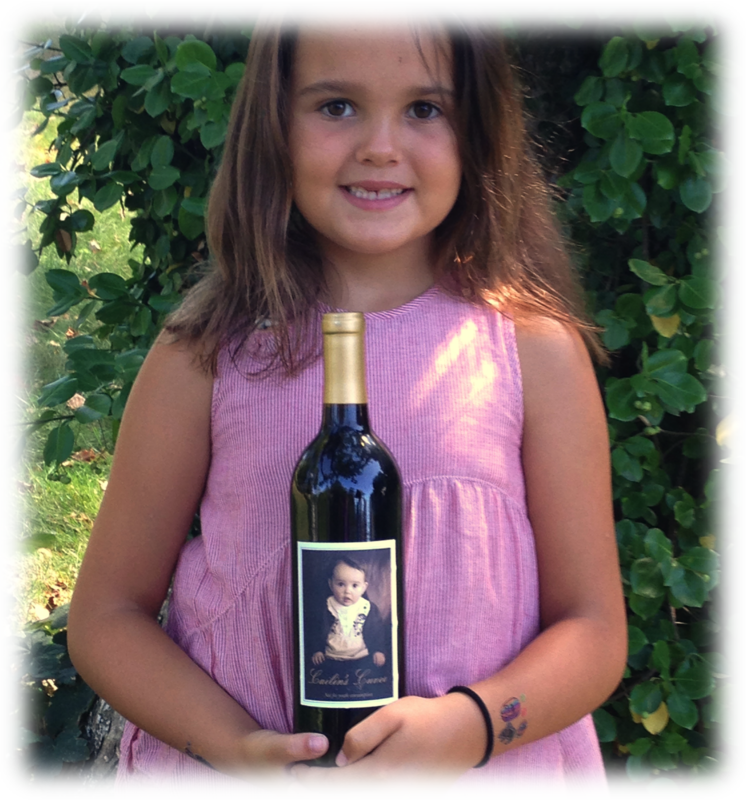 Our first vintage was 2007, the year Cailin was born. The 2010 blend was selected by John and Sheryl Callaghan, along with Chef and cookbook author, Michael Saxer. We’re confident you’ll love this wine, and it’s a great value at this price. Following the Amarone winemaking technique of appassimento, this wine is 40% Merlot, 30% Corvina, and 30% Croatina. A lovely shade of garnet-ruby red and showing thick, luscious concentration, this wine’s aromas are one-dimensional yet lively: black cherry, brown sugar, and exotic spice steal the show. A cross-Napa Valley blend, the 2012 is composed of 85.2% Merlot blended with other Bordeaux varietals. Only 21% new oak is used, so the fruit component dominates. Dense plum, purple color followed by notes of chocolate, berries, tobacco leaf, forest floor, and mocha. A lush, fruit-driven, hedonistic, sensual Merlot. Be sure to try these, too! Please note that we will be CLOSED on Easter Sunday! We hope that you have a wonderful day with your family and friends.